Telegraph photo by DEAN SHALHOUP Ryan Ackerman, one of an estimated 500 participants in Saturday's fourth annual Downtown Chocolate Stroll, picks out one of the chocolate delicacies at Fresh of Nashua. Still deciding is Brittany Dow, left. Telegraph photo by DEAN SHALHOUP A table full of different kinds of candy greets 8-year-old Felicity Vacher, left, and her sister, Avy, 4, at Scontsas Fine Jewelry & Home Decor, one of several stops the girls and their parents made during Saturday’s Downtown Chocolate Stroll. Telegraph photo by DEAN SHALHOUP Ryan Ackerman, one of an estimated 500 participants in Saturday’s fourth annual Downtown Chocolate Stroll, picks out one of the chocolate delicacies at Fresh of Nashua. Still deciding is Brittany Dow, left. Telegraph photo by DEAN SHALHOUP Cathy McAndrews, a volunteer helping out Fresh of Nashua owner Cheryl Plunkett at Saturday’s Downtown Chocolate Stroll, greets visitors who stopped in to sample the offerings. Telegraph photo by DEAN SHALHOUP Downtown Chocolate Stroll headquarters at The Telegraph filled up quickly the minute the doors opened to signal the start of the fourth annual stroll Saturday afternoon. The Telegraph’s Robin Marchand, foreground, begins signing in participants. 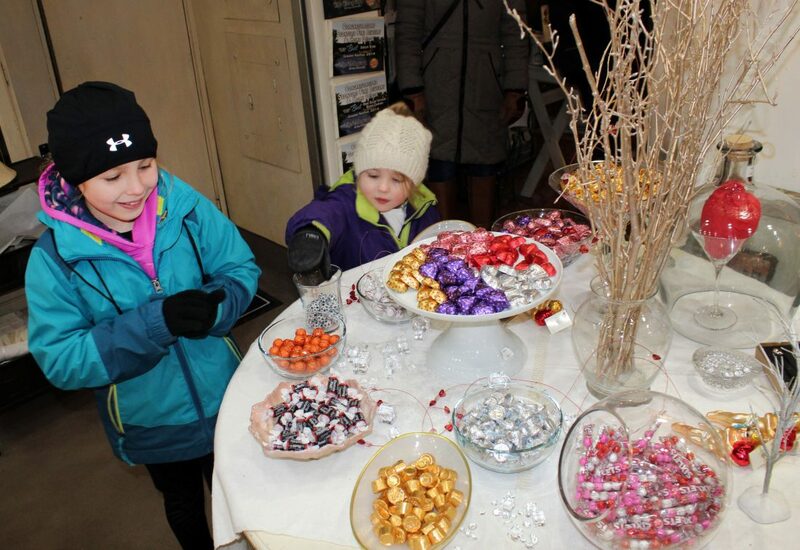 NASHUA – The icy gusts that blew through shop doors each time a patron passed through didn’t seem to bother very many Downtown Chocolate Stroll visitors Saturday – as long as the chocolate displays themselves emerged unscathed. 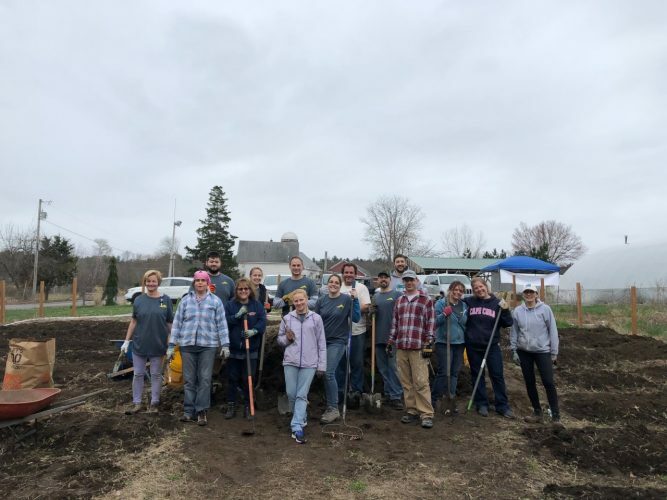 That was especially so in locations like Fresh of Nashua, where owner Cheryl Plunkett and volunteer Cathy McAndrews enticed strollers with nuggets of champagne chocolate that proved an instant hit. 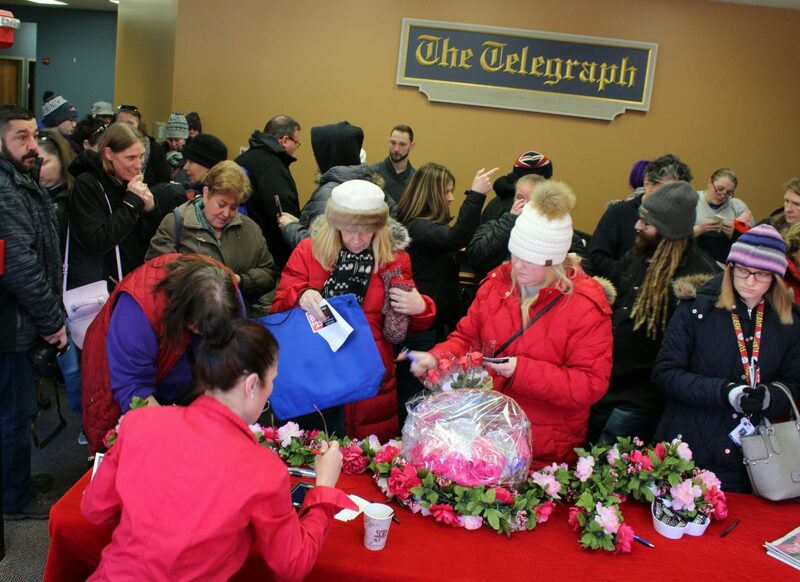 The clock in The Telegraph’s front lobby had barely registered noon when the first strollers made their way inside to turn in their tickets and take a chance at a prize by giving the mini “Wheel of Fortune” a spin. Once registered and at least somewhat recovered from the effects of the biting wind, strollers bundled up and headed either north or south, depending on how they mapped out their routes. 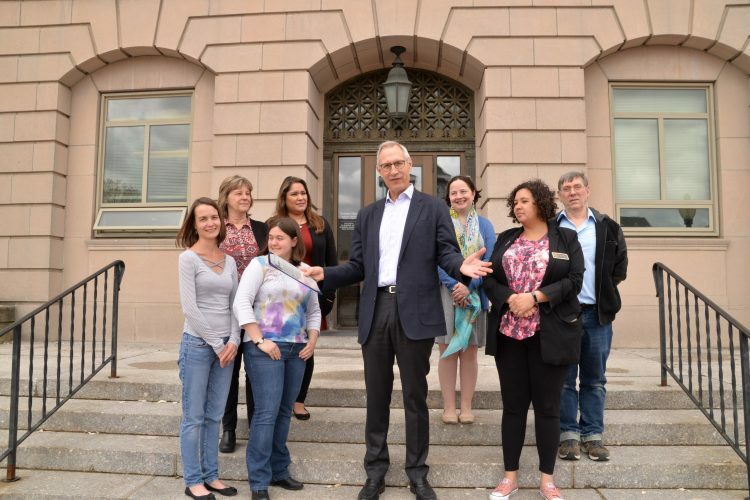 Whether they started at Railroad Square or the area of City Hall, strollers could stop in at nearly two dozen participating locations for a sample or two of chocolate shop owners selected specially for the stroll. Telegraph photo by DEAN SHALHOUP Cathy McAndrews, a volunteer helping out Fresh of Nashua owner Cheryl Plunkett at Saturday's Downtown Chocolate Stroll, greets visitors who stopped in to sample the offerings. Over at Scontsas Fine Jewelry & Home Decor, a family of four walked in through the door on the Home Decor side, led by 8-year-old Felicity Vacher and her 4-year-old sister, Avy. After glancing around the shop with a bit of urgency, a relieved Felicity pointed to her right. “There it is,” she exclaimed, directing her sister and parents to a large, round table on the jewelry side of the store. Amalia Scontsas was more than happy to help the girls make their choices, and after taking a little look around the store they headed back out, parents in tow, for their next destination. 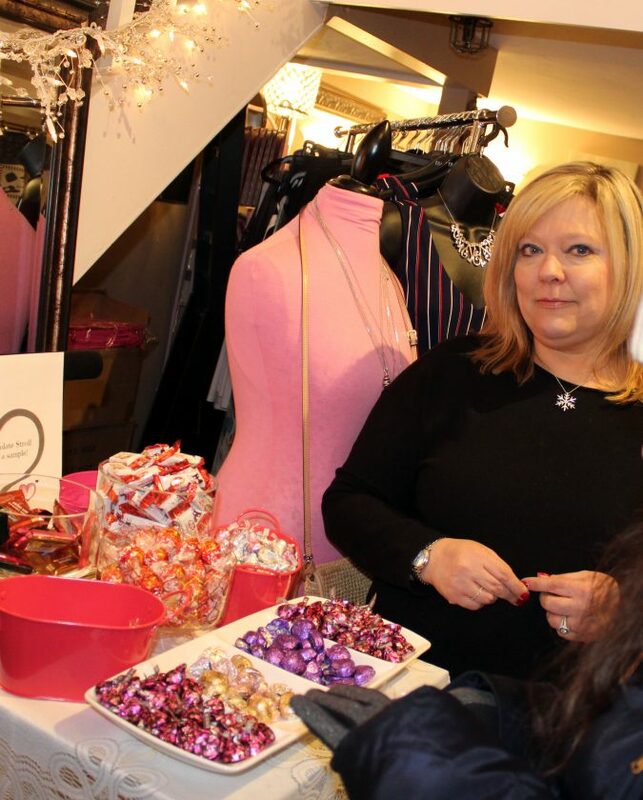 Conceived as a tonic for cases of mid-winter cabin fever, the stroll also affords downtown merchants the opportunity to preview some of their Valentine’s Day offerings. 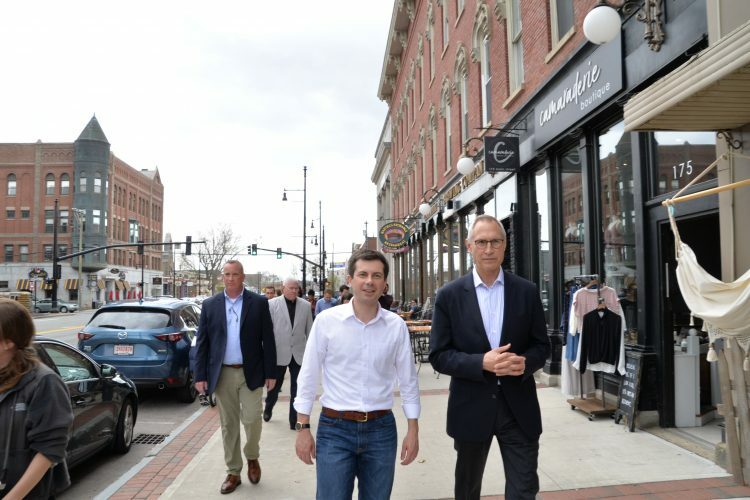 For downtown-focused folks like Paul Shea, executive director of Great American Downtown, events like the chocolate stroll allows “people to connect with shop owners” they’ve yet to meet, or whose stores they’ve yet to visit. Telegraph photo by DEAN SHALHOUP Downtown Chocolate Stroll headquarters at The Telegraph filled up quickly the minute the doors opened to signal the start of the fourth annual stroll Saturday afternoon. The Telegraph's Robin Marchand, foreground, begins signing in participants. Telegraph photo by DEAN SHALHOUP A table full of different kinds of candy greets 8-year-old Felicity Vacher, left, and her sister, Avy, 4, at Scontsas Fine Jewelry & Home Decor, one of several stops the girls and their parents made during Saturday's Downtown Chocolate Stroll.